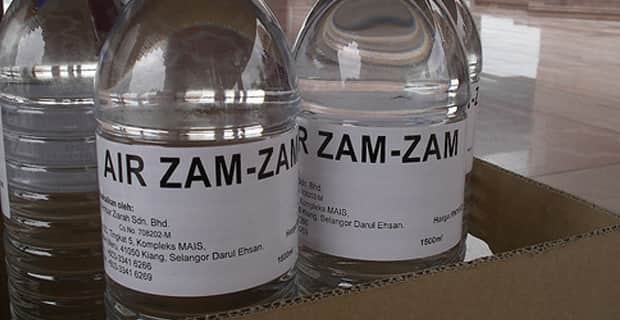 Many people have question on their mind that "Will Saudi Arabian Airlines allows to carry zam zam water while traveling from Saudi Arabia to our home country?". According to Saudi Arabian Airlines website, If you are traveling from Jeddah Airport (King Abdulaziz International Airport) or Madinah Airport (Prince Mohammed Bin Abdulaziz Airport) then you can able to carry one gallon of zam zam water of 5 liters from sogia factory as checked in baggage. If you are traveling from Other Saudi Arabian Airports (Except Jeddah & Madinah) then you cannot carry it as free baggage, but you have an option to carry in your baggage. It means, If your ticket allows you 46Kg luggage (23Kg+23Kg) but you have only 30Kg luggage with you then you can include your 10 liter zam zam water in this luggage. 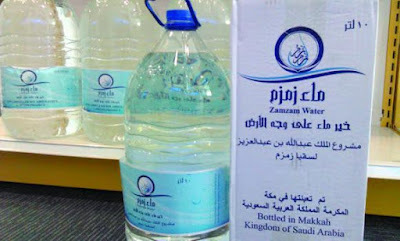 According to a recent experience (May 2015) of our blog reader, While traveling from Riyadh Airport to India through Saudi Arabian Airlines, He is unable to carry zam zam water as he already have 46Kg luggage with him. So even though he bring zam zam water, He is unable to take with him as its not in free luggage from Saudi Arabian Airlines, While his friends who traveled from Other Airlines brought 5 to 10 liters of zam zam water as free baggage. Our blog reader who traveled from Saudi Airlines also informed that, His ticket allows 7Kg of luggage as hand baggage, But he brought more than 12Kg as hand baggage as they are not weighing for hand baggage.